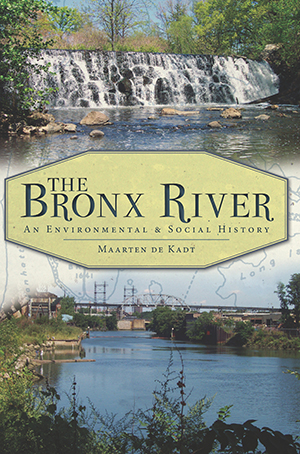 The Bronx River flows twenty-three miles from its source in Valhalla to its mouth, the East River in the Bronx. This waterway was used for centuries by Native American tribes for drinking, food and transportation, and they called it "Aquehung" a fast stream flowing along a high bluff. After the arrival of Europeans, though, the Bronx River suffered as industry prospered; it powered mills and, unfortunately, became a dumping ground for all kinds of waste. Its appearance and ecosystem were forever changed. Today, community members are again attempting to alter the river, but this time for the better, by helping it recover. Discover the fascinating history of this small waterway and the ways it influenced and was affected by the people around it. Maarten de Kadt has a doctorate in economics. His examination of the environment over the past twenty years exemplifies his desire to improve the lives of others. He has studied problems associated with municipal solid waste management, the delivery of drinking water and the removal and treatment of sewage waste. As a high school teacher, he was introduced to a destroyed but recovering Bronx River and used it to help students understand the possibilities of environmental recovery and of personal empowerment. Dr. de Kadt continues to be an environmental and community activist. He is a member of the Bronx River Alliance's Board of Directors and of the Bronx Borough President's Solid Waste Management Advisory Board.